Santorini is interwoven with the sunset, this magical hour of the day when the light makes everything look more beautiful. 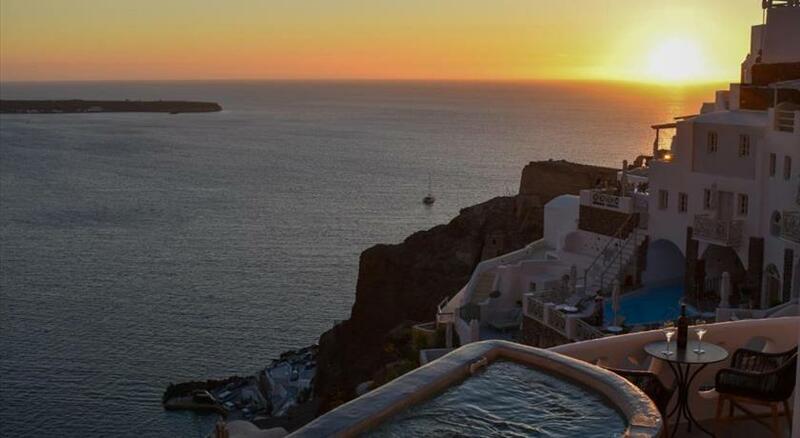 The sunset in Santorini is considered one of the most famous sunsets worldwide and people from all over the world visit Santorini in order to photograph it and, most of all, cherish it. The sunset highlights the breathtaking beauty of the island that offers many ideal locations from where visitors can admire it. 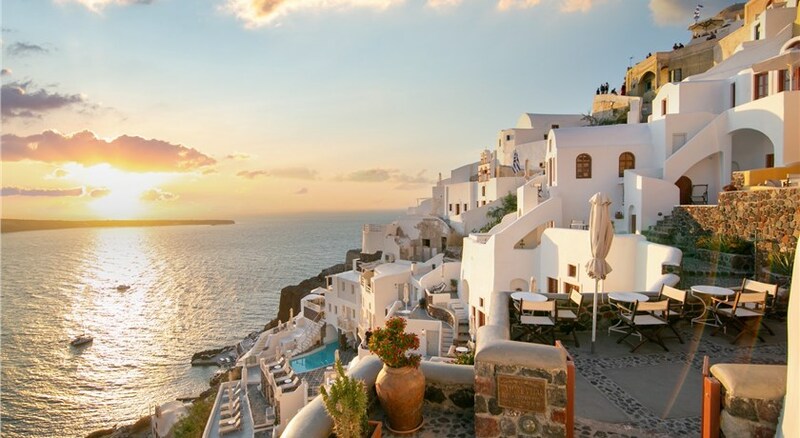 But nobody should miss the chance to see the sunset from Oia village, the famed sunset viewing spot. 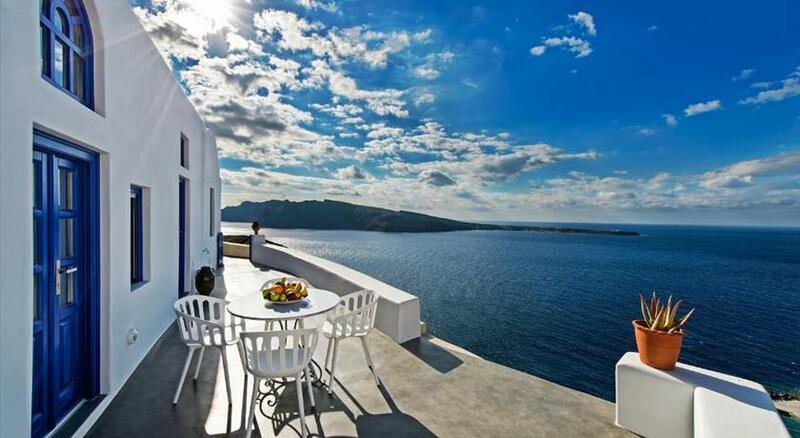 Oia is the most picturesque settlement of Santorini, a lovely village with traditional character. 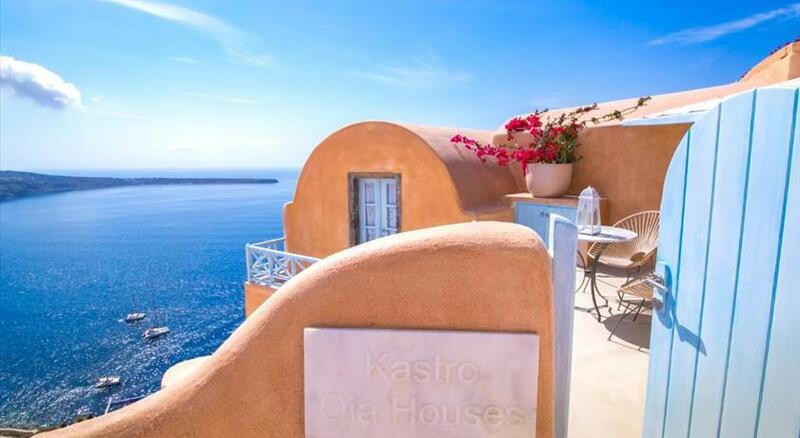 Built on the caldera cliffs, when it is under the colors of the sunset it becomes even more staggering and idyllic. There are charming white-washed houses, blue-domed churches and marvelous buildings with attuned colors that compose an entrancing scenery. The best place to sit and enjoy the sunset is the remains of the prominent Castle of Agios Nikolaos. 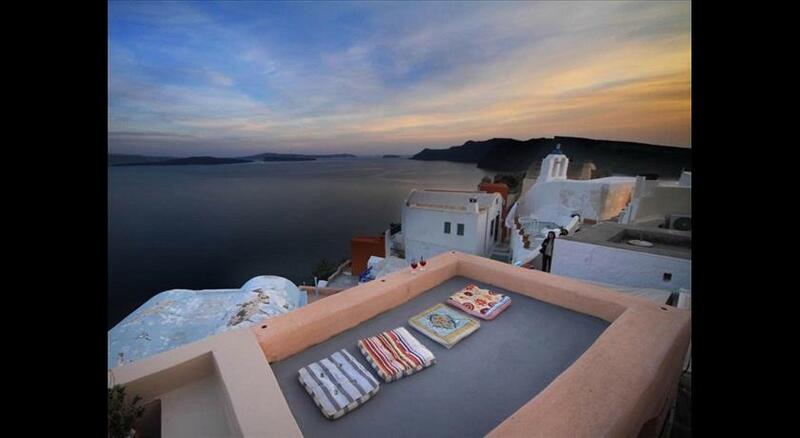 From here you can gaze the most scenic view; the spectacular settlement unfolding in front of you, the impressive volcano across the sparkling Aegean Sea and the dreamy horizon. The highlight and the reason why spending an evening in Oia waiting for the sun to set is a wonderful experience is the fact that at this time of the day you will find yourself in the middle of a festivity. Crowds of people, locals and tourists, gather on streets, quaint paths, rooftops, ruins and stairs anticipating the sunset. The village pulses and the atmosphere becomes lively and friendly. This delightful ambience in combination with the stunning sight the colors of the sun create will certainly transfix you. As you are counting down to the moment the sun disappears, you will be overrun with feelings of excitement and awe. This event comes to an end the moment the sun dims in the sea and all people together start applauding. A totally worthwhile experience and a magical sunset!